Designing, Prototyping and Sharing faster with Adobe XD. Here's why you should make the switch! Released in 2016, Adobe XD is as an all-in-one UX design program that lets users design, prototype and share their work under one roof. This powerful design tool creates more synergy between other Adobe products like Photoshop, Illustrator and After Effects, and helps quickly create richer visual design and prototypes. At last year's Adobe MAX conference, Scott Belsky, Adobe Creative Cloud’s Chief Product Officer and Executive Vice President, went as far as to say that Adobe XD was as big as Photoshop. With several improvements made this year, Adobe XD boasts many new features that makes it more user-friendly. It’s also one of the only design and prototyping tools that allows cross functionality between Mac and PC, which encourages more collaboration between different platform users. 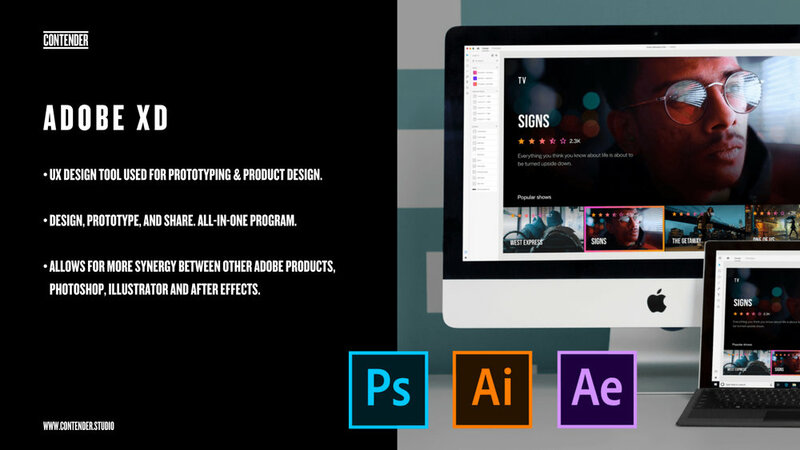 Having a lot of legacy in the creative world with their other programs, Adobe has built an ecosystem of commands and keyboard shortcuts with which most users are already familiar. With this consistency, the learning curve for this program remains relatively light, or nonexistent. 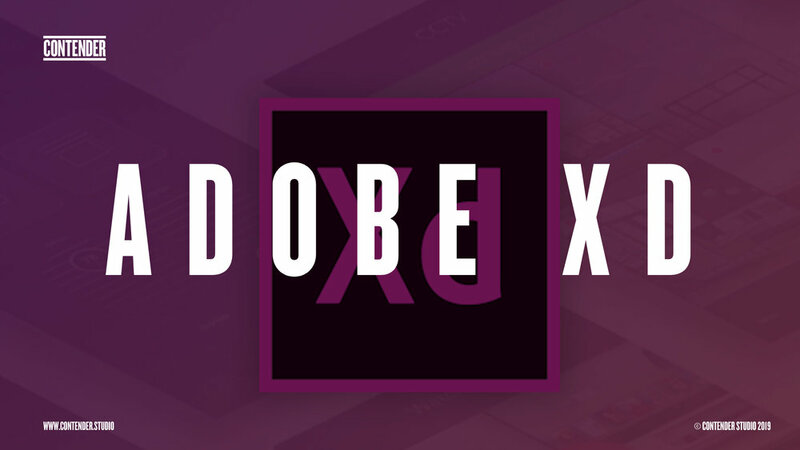 Since Adobe XD is also part of the Creative Cloud, casual users can easily try out the program without having to subscribe to, or learn a third party program. Compared to other programs like SketchAPP, the type tool in Adobe XD offers better use and control of typography. Designers can also create pages much quicker thanks to features like Repeat Grid and Responsive Re-size. Adobe XD’s motion capabilities are also surprisingly intuitive. Designers have the option of starting a project in Adobe XD and exporting artboards with full editable layers into Adobe After Effects – a handy shortcut for creating animations. With these features that allow faster production of motion design, users now have greater flexibility and synergy when working on a project across multiple Adobe programs. 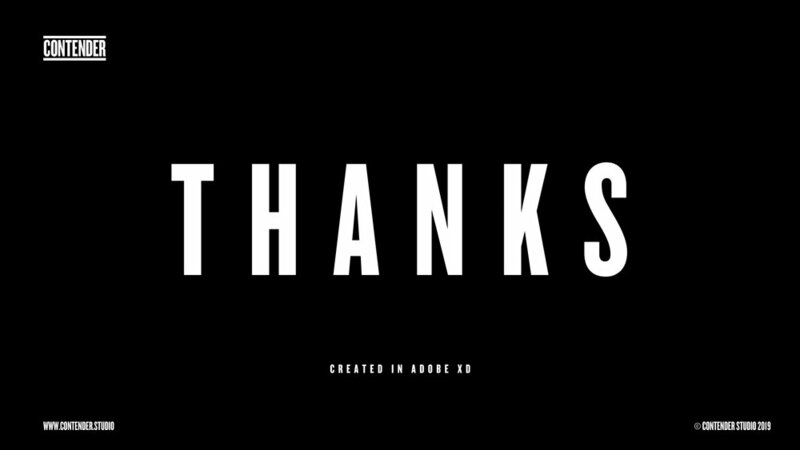 The Auto-Animate feature allows users to create motion transitions from screen to screen. Simple animations are made by using contrast in elements from screen to screen like scale, position, direction, etc. to create better transitions along with richer visual designs and user experiences. Adobe XD also has a useful tool to help users record their flow directly in the preview and export the video as an .mp4 file . This file can then be easily shared. What really sets Adobe XD apart from other UX design programs is its voice trigger capabilities. It’s currently the only prototyping tool on the market that allows users to test and design around voice triggers. This feature comes as partnership between Adobe and Amazon's Alexa to help initiate this new realm of design. As the world of design continues to evolve, Adobe stands at the forefront of voice design and is pushing for greater exploration of user experiences. Let us know if you’re ready to make the switch over to Adobe XD or have made it already. Comment below!